A cool mist humidifier is a device that helps to increase moisture or humidity in the air. Dry indoor air can cause several problems such as dry lips, nose bleeds, scratchy throat, itchy skin, chapped skin, cough and much more. All these problems can be effectively be taken care of by a cool mist humidifier. With so many different brands of humidifiers on the market, it can be difficult for you to choose the best product. 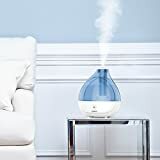 To assist you in finding the best product we have selected and reviewed the top 10 best cool mist humidifiers in 2019. 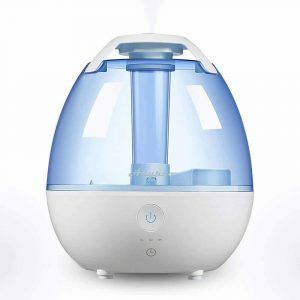 Check out below our list of the best humidifiers that will help you to find the best product for your needs. There are numerous cool mist humidifiers for home available for purchasing today but only a few can guarantee the quality that you desire. 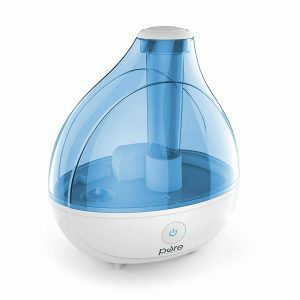 The following are the top ten best cool mist humidifiers in 2019. 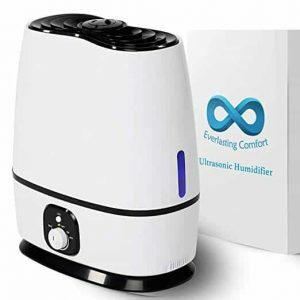 If you are seeking a portable cool mist humidifier that you can move it from one room to another, then the Everlasting Comfort Humidifier is the best choice for you. This unit has a large 6-liter tank with a very powerful mist output of up to 270 ml/hr. 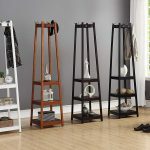 This makes it perfect for large rooms of up to 400 sq feet. Its tank is designed to last up to six days before you refill it again. Moisturize the dry air in your office or home in minutes with the Pure Enrichment MistAire cool mist humidifier. This unit is designed with great features that make it the best solution for improving the air quality in any room. The Pure Enrichment humidifier is designed for medium-sized rooms, thanks to its large capacity 1.5-liter water tank. This machine has a moisture output of 150 milliliters per hour which is higher than some other humidifiers on the market. Besides this, it has adjustable mist direction and speed to fit your comfort level. On the low mist speed setting, this humidifier can moisturize the air for up to 16 hours of continuous operation. It also has the automatic shut-off feature that turns the humidifier off when the water level is low or when the water tank is removed. Are you looking for a humidifier that can run for a longer time? 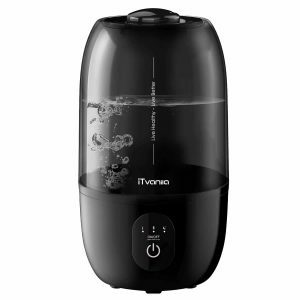 Then, you cannot go wrong with this air humidifier from iTvanila. This unit is equipped with a 4-liters water tank that allows it to work for up to 35 hours of continuous humidification. It is ideal for small to medium rooms measuring up to 320 square feet. Another interesting thing about this unit is, it produces noise less than 35dB making it perfect for babies rooms and bedrooms. It also automatically shut off when the water level gets too low. Additionally, it features an adjustable mist output setting that allows you to adjust the mist output volume anytime you want. The humidifier also comes with a 1-year limited warranty from the manufacturer. 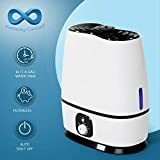 This is a versatile cool mist humidifier that can be used as an air humidifier, oil diffuser, or air purifier. 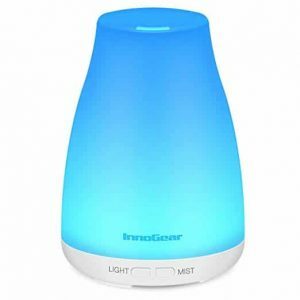 The InnoGear humidifier is equipped with a 100ml water tank that is capable of running all day. It can run for up to 8 hours depending on the setting you use. The humidifier uses ultrasonic technology to operate quietly. Also, this humidifier has a built-in oil diffuser to fill your home with a lovely fragrance. It also features seven amazing changing lights which creates a peaceful environment for sleeping. The lights are adjustable between dim mode, bright, or steady. For safety, this unit automatically shuts off when the water runs out to protect the humidifier from being burned out. If you are looking for the easiest and cheapest way to humidify your room, then this humidifier from UCAREAIR is the best choice for you. This unit has a large 2 liters water tank that allows up to 10 hours working time before needing a refill. The UCAREAIR humidifier is powerful enough for small to large-sized rooms. On top of that, this humidifier is quieter than other brands making it perfect for the baby bedroom or office space. Besides this, it automatically shut off when the water level is or when the water tank is removed. This protects the humidifier from overheating and the risk of electrical fire. Furthermore, it has two mist setting levels (low and high) allowing you to adjust the mist speed depending on your needs. This humidifier doesn’t require any replacement filters making it easy and cheap to maintain. Are you looking for the best humidifier with a large water tank? Then, you cannot go wrong with the iTvanila Cool Mist Humidifier. It has a large capacity 2.7 liters water tank that can last up to 28 hours in low mist setting. This humidifier has low noise operation that causes very little disturbance. Therefore, it won’t disturb those who are reading or sleeping. 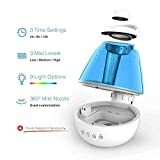 This cool mist humidifier also has adjustable moisture output (low and medium) for different conditioned areas and rooms. Another great feature of this unit is the 360-degree rotatable nozzle which helps you to deliver mist to any corner. Lastly, this unit also automatically shut off when it runs out of the water. 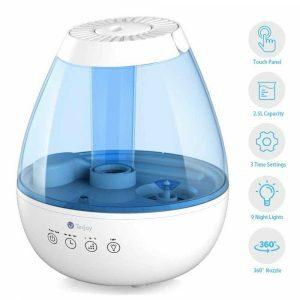 This cool mist ultrasonic humidifier from URPOWER is a popular choice on the market for its great features and affordable price tag. This humidifier is designed with 5-liters that hold enough water to last up to 17-hours depending on the mist setting. 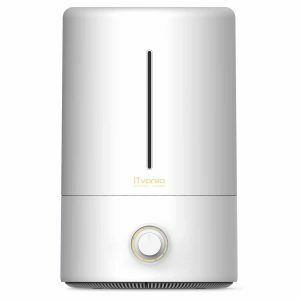 It uses the ultrasonic technology which ensures that the humidifier operates quietly. Also, this humidifier has a sleek body design which makes it perfect for decorating your home. It features the shut-off function which shut off the humidifier automatically when there is no water remaining. So, this humidifier won’t short circuit or overheat. It is also straightforward to operate the humidifier because it has only one control button. Are you looking for a humidifier which works quietly and efficiently? Then, the Tekjoy Cool Mist Humidifier is the best option for you. This humidifier has a 2.5 liters large tank that can run for up to 24 hours. Its tank features handle which makes it easy to refill. Furthermore, this unit comes with an easy-operational touch panel which allows you to easily adjust the mist level, change night lights, and set the timer. 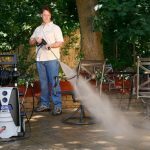 Besides this, it has the 360-degree nozzle which allows you to direct the flow of moisture toward the areas that need mist and away from areas that don’t. 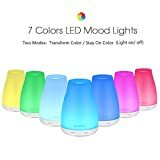 Apart from that, this unit features 7 different colors of LED lights for a peaceful and magical night sleep. The Tekjoy humidifier also operates quietly making perfect for kids and light sleepers. MADETEC is one of the top-rated cool mist humidifiers on the market. This humidifier is equipped with a 1-liter water tank which can last up to 20 hours between refills. It features 3 mist modes. You can choose from low, medium or high mist output, according to your needs. Also, this humidifier comes with a rotating nozzle which allows you to adjust the mist direction. It features the automatic shut-off function which shut off the humidifier automatically when there no water remained. Hence the humidifier won’t short circuit or overheat. 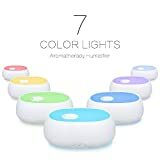 This unit also allows you to add your favorite essential oils similar to an oil diffuser. Lastly, the humidifier comes with a remote for easy operation of the settings. It has a quiet operation. INDo you love having a pleasant scent in your office or home? Then, this cool mist humidifier from URPOWER will help a lot. This unit can run for up 6 hours depending on the mist level setting. 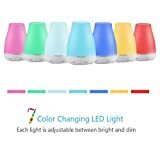 The most exciting feature about this cool mist humidifier is, it allows you to add your favorite essential oil to give your home a pleasant scent. 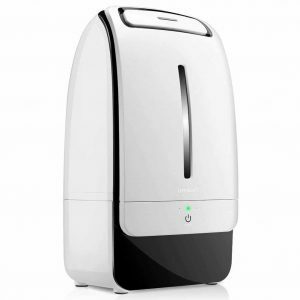 This humidifier also works silently making it best for offices and children rooms. 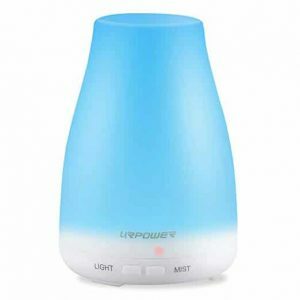 The URPOWER 2nd Version humidifier is made from high-quality plastic material which does not contain any toxic chemical and won’t add any harmful in the air. For your safety, this humidifier also automatically shuts off when the water and oil level is low. 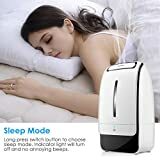 Level of noise – The best humidifier should have low noise operation so that it cannot disrupt you when you are sleeping or reading. Water capacity – Before buying a humidifier, you should check the tanks water capacity. The units with large water tank capacity are the best because they don’t require constant water refilling. Size of the room – Humidifiers are designed in different sizes including small, medium and large size. The small humidifiers can handle area of up to 300 square feet while the medium-sized cool mist humidifiers are perfect for 300 to 500 square feet areas. The large humidifiers are designed for rooms measuring from 500 to 100 square feet. Ease of Usage – The best humidifier should be easy to use and clean. It should have user-friendly controls, and its filter should be easy to clean. The display should also be clear and easily readable. 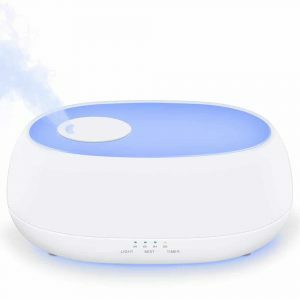 Hopefully, with our guide and reviews of the top 10 best cool mist humidifiers in 2019, you can easily choose the best product. 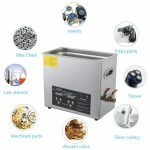 All the products we have listed above are easy to operate, affordable, easy to maintain and effective.